Publisher: New York: Disney Hyperion, 2009. Opening Sentences: Sun sets, Shoes shine. Sunday best. Stand in line. Hands entwined in the cold. First ballet. Five years old. 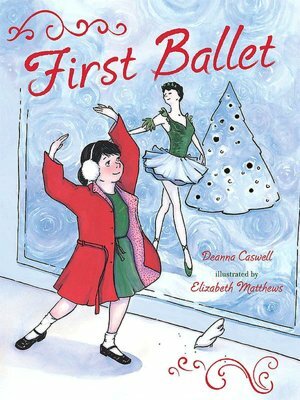 Synopsis: A grandmother takes a five-year-old girl (who is never named) to the theatre where she experiences her first ballet and is captivated. Sparse rhyming text provides a nice counterpoint to the vivid illustrations. Activities/Resources: The New York City Ballet has a section for kids on its website, including crosswords, word games, coloring pages, and lots of information. There are also teaching activities such as a 3rd and 4th grade lesson plan about the Nutcracker ballet. First School Years, a UK site, has lesson plans for introducing dance to children. Availability: Out of Print, despite being relatively recent. Publisher: New York: Little Simon, 2011. Opening Sentences: It’s my very first ballet class. I’m all dressed and ready to go. Synopsis: Photographs with watercolor embellishments take us through a first ballet class with one small girl and her friends. Foldout pages (glossy cardstock) reveal simple instructions for ballet steps. Activities/Resources: PreSchool Rock suggests a ballet party theme. Fun Lesson Plans offers a preschool/kindergarten lesson plan about The Nutcracker. The Pennsylvania Ballet also has a preschool activity book about The Nutcracker. The first one is the best one, for sure. I found it at the library, so hopefully others will as well. I’ve found another book about ballet, but it might have to wait until next year, the way my blog year is filling up! Oh, wonderful! Thanks so much for sharing these things with your sister, Erik! Oh the ballet! The beautiful dancing, artistic display of limbs and legs as poetry in motion. These are darling choices. Thank you so much for sharing. Poetry in motion. Perfect description of ballet. Thank you Angela! How disappointing that First Ballet is out of print as I am particularly drawn to that of the two. I like the idea of the pictures doing most of the speaking in this very physical art form! Dod you do ballet when you were little, Beth? I found the book at the library, so you might find it on one of your New York Public Library expeditions some day. When I was very small, I used to proclaim that I wanted to be a “ballerina and a cowgirl” when I grew up. Lack of access to ballet lessons and horses put a crimp in those plans. I’m just an admirer of the art form. 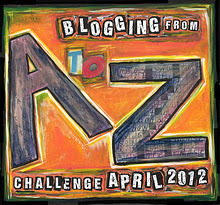 Beth, what a great book, and how smart of you for incorporating PPBF and A to Z in the same post. I was not that smart so I am double posting today. 🙂 I need to take my daughter to the ballet- it’s time. Oh ballet…I remember those days..
You did ballet as well as everything else? You are so multi-talented! Cool. As long as you had fun for that while, that’s the main thing. In my humble opinion, books go out of print too quickly! Sometimes before I even discover them! I never took ballet, but my daughter began dance last year. 🙂 Fun times. Thanks for sharing. Some books go out of print far too quickly, such as this one. Perhaps you’ll find it at the library, that’s where I found it. I think you and your daughter might like it. 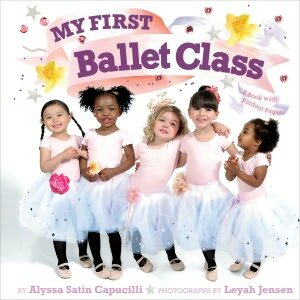 My daughter took ballet and loved any book we could find. I liked that the child in the book attends the ballet and it captivates her imagination! Great believer in exposing children to performance like the “Nutcracker” to expose them at an early age. That’s how interests and dreams begin in children. Also enjoy you bonus read — the only thing that bothers me about this book is that they don’t depict a boy on the cover. Boys, too study ballet and dance. But, it sounds like a great first book to read for young kids. Great choices! I did find a book about a boy in ballet, but it didn’t fit the alphabetized theme (not to mention three books seemed a little much.) It’s called The Only Boy in Ballet Class. I may have a chance to get to it by next year! I knew this was your post just from the title, Beth! It’s too bad the first book is out of print, the illustration on the cover makes me want to see the entire story. Perhaps the library will have it. Thank you for the recommendations and activities. I hope the library will have it, mine did. Or rather, a library in our province-wide system had it. Lovely choice of books. Loved dancing and took ballroom as a teen. Mum was into ballet, tap, jazz and ballroom in her younger years. Thanks, Diane. Sounds as though you’ve been dancing all your life! Hope you can find the book, I’m sure you’ll like it! I haven’t encountered any picture books about hiphop dancing, but I wouldn’t be surprised! Thanks, Robyn! I hope you’re able to find the book! Oh…I’m so sad that it’s out of print! The lines you posted are just musical. Check the library! That’s where I found it! Thanks for adding these. I love the detail about the unnamed child. We spent all weekend with grandparents and grandmother was unnamed. I think my son would be well-suited for dance classes (He seems to like it now), but all the other family members roll their eyes at me. I like to read dancing books with him to see how he reacts. Thanks, Stacy. I’m all for boys being in dance class! You might start him in a program that combines music, play and movement. A friend of mine is the originator of a program called Music for Young Children, http://www.myc.com There are MYC teachers all over — there’s a page on the website where you can see if there’s one in your area. Also, a book I encountered in my recent reading that you might like is “The Only Boy in Ballet Class” — that one might help your rolling-eyes family members, as the little boy uses the skills he learned in ballet to help his football team to victory. Thanks for the suggestions — both of the other books, and of the Read & Romp Roundup. I’ve now submitted the post! 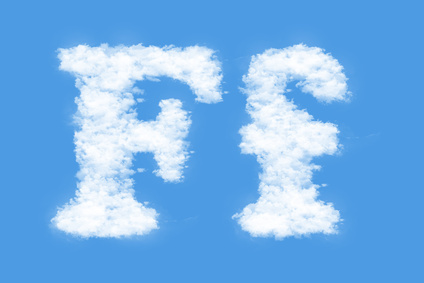 you may be tempted to include testimonies totally from higher-ups. can take it farther by including comments from the subordinates. span for several minutes, and explain how most readily useful you fit what they’re searching for. This may make it even more likely you’ll be allowed a meeting, which may create a job.